This is a direct replacement for American Standard (American Series) guitars for those players wanting a vintage 3 saddle bridge sound. The bridge plate has a lower, cleaner profile than the stock plate allowing for better muting. 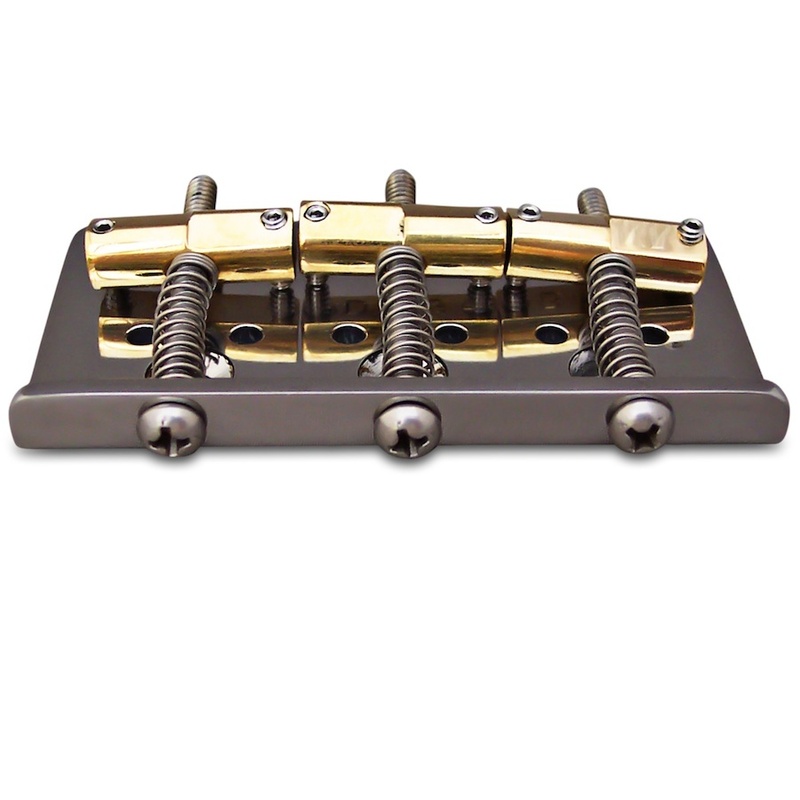 The steel plate will dramatically increase sustain, volume, response time and string balance of an American Standard guitar compared to the stock brass plate. String holes have a full radius edge like the stock plate. The change is as significant as changing your pickups. Please remember that American Standard and Vintage plates are not interchangeable. 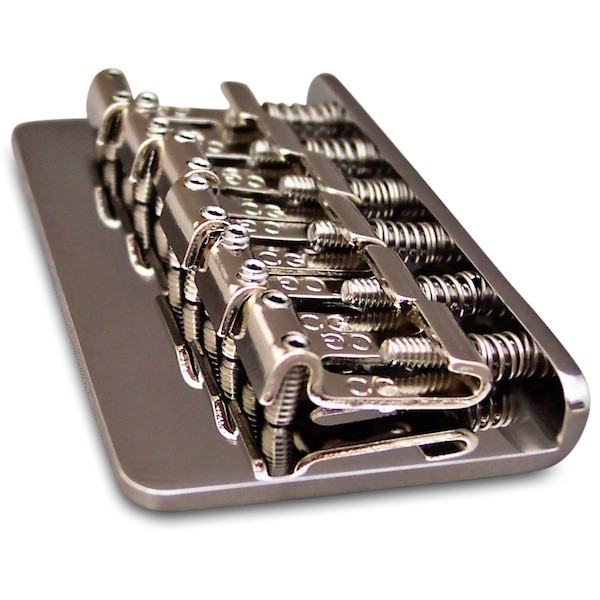 Vintage spec hardtail bridge with 6 Vintage-Style "CG" Strat saddles. Nickel plated. 2-7/32" string spacing. This bridge fits the '72 Deluxe and Thinline Tele reissues. 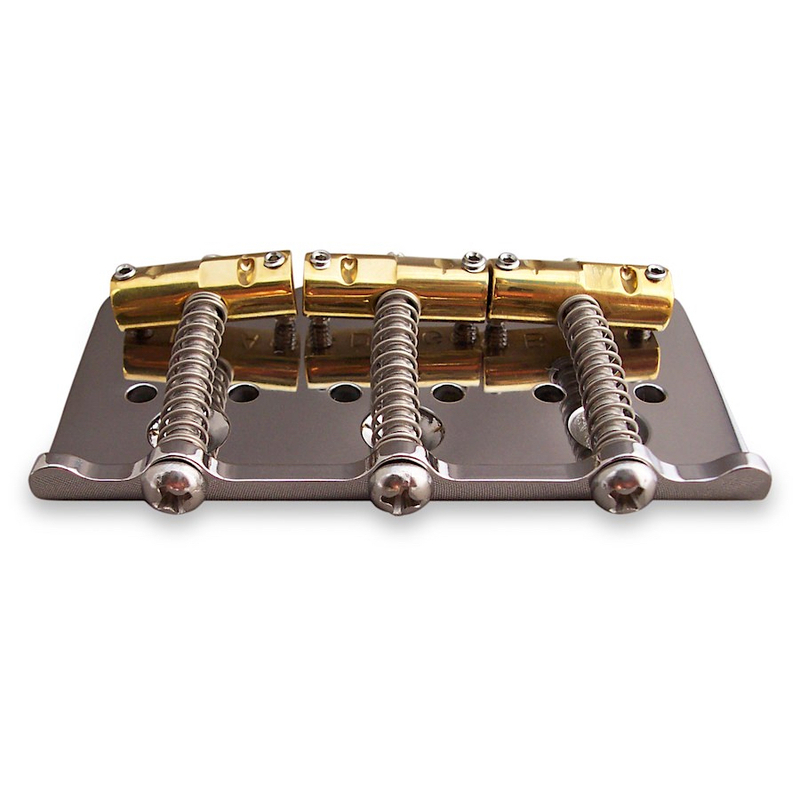 This bridge replaces the stock 2-7/32" bridge and will fit '72 Telecaster® Deluxe and Telecaster® Thinline Reissues. 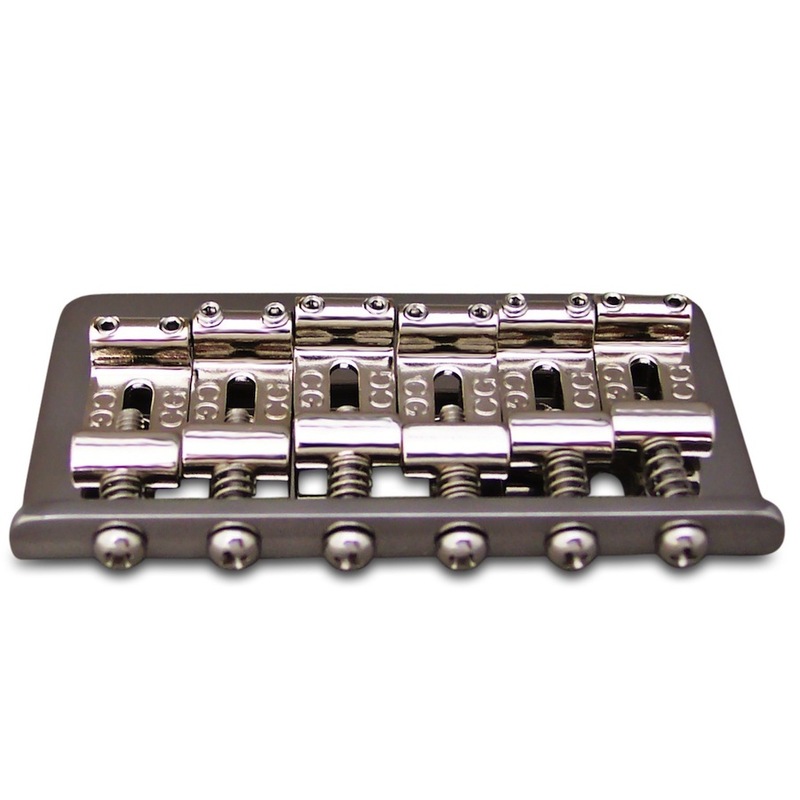 Designed for players who want to use a flat mount styled vibrato with humbucking pickups or P90 pickups. Plate features string-through holes for use without a Bigsby. American Standard spec hardtail bridge with 6 narrow Vintage-Style "CG" Strat saddles. Will directly fit American Standard Strats and American-made Tele Cabronitas. Nickel plated. 2-1/16" string spacing. 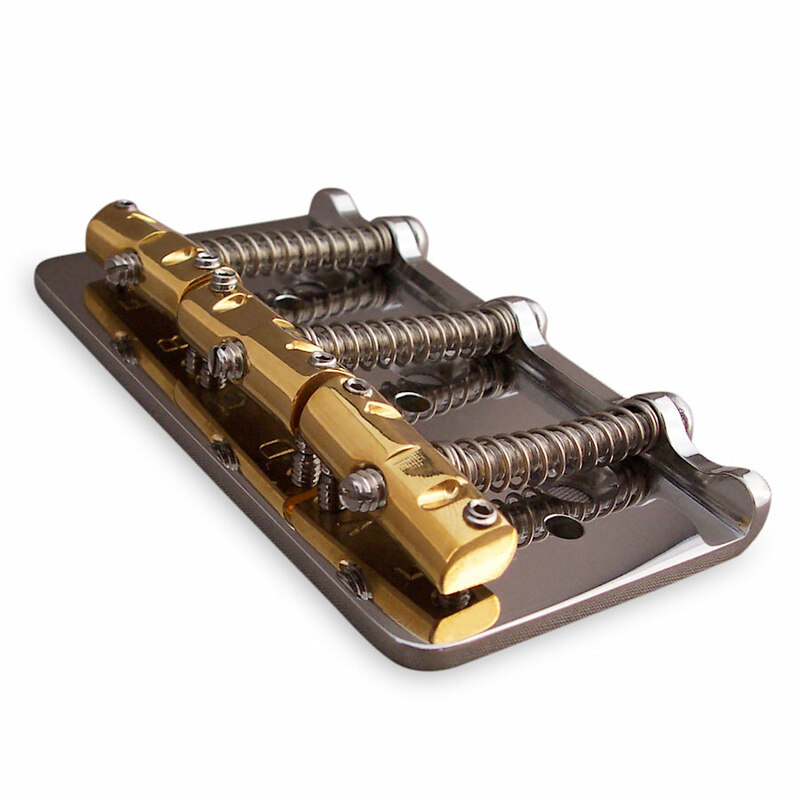 American Standard spec hardtail bridge with 3 enhanced compensated brass saddles. Will directly fit American Standard Strats and American-made Tele Cabronitas. 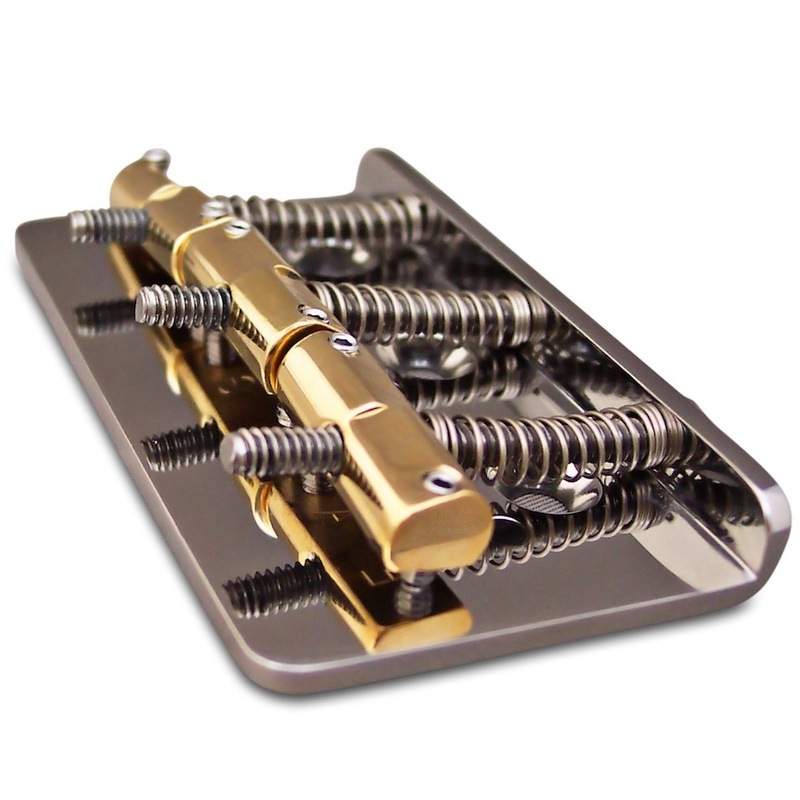 This Callaham hardtail bridge has 2-1/16" string spacing, American Standard mounting, and enhanced brass Tele® saddles specialized for Bigsby use. The bridge directly fits American Standard Strats and American and Mexican made Tele Cabronitas. Plate features string-through holes for use without a Bigsby.